High School South Principal Michael Citta (center, left) and High School East Principal Pat Thomas (center, right) joined the Toms River South-East varsity ice hockey team as it began its second season as a co-op squad. 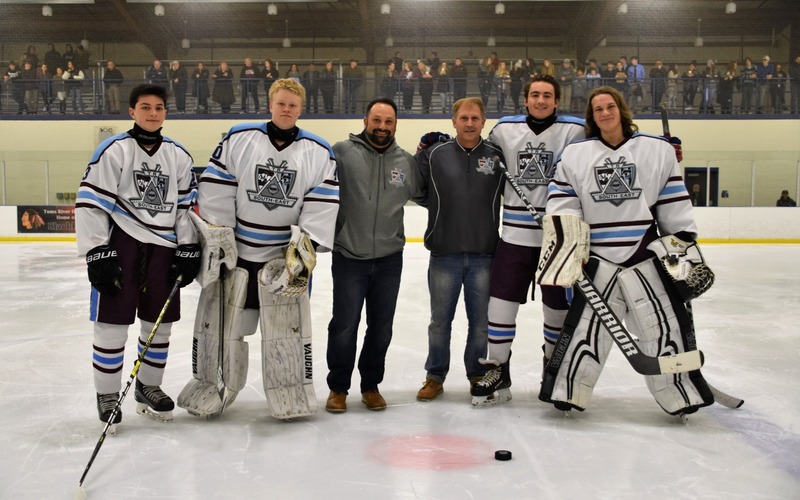 Nov. 30, 2018-- Last year, due to low participation at the respective schools, Toms River Regional Schools decided to combine the hockey teams at High School East and High School South. Jason Verdon was named head coach, and tasked with developing the team logo, uniforms, and name. 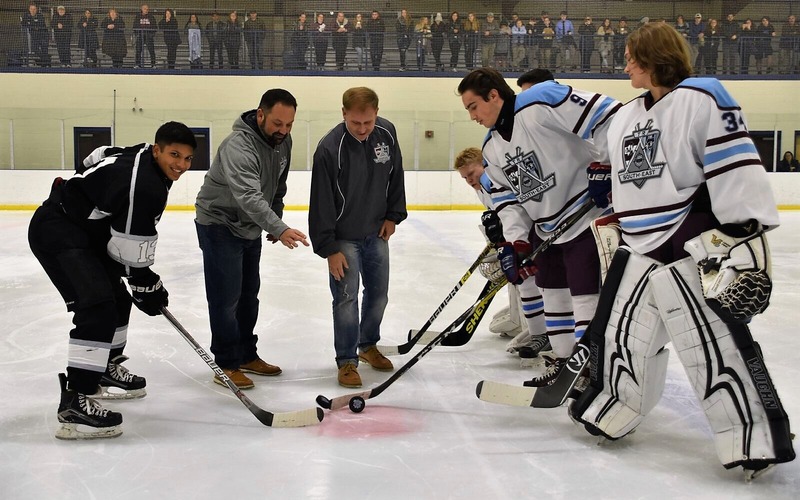 This past Monday, the puck was dropped on year two of the Toms River South-East varsity ice hockey season. HSS Principal Michael Citta and HSE Principal Pat Thomas helped open the season by participating in the ceremonial puck drop prior to the game. Coach Verdon describes his team as "great, hard working kids," and the co-op has not only been a success, but a unique example of unity through sports for the district.